Are you an entrepreneur and feel overwhelmed? Maybe you need to grow your business but you aren’t sure what step to take next. Maybe you want to start a business but have no clue where to begin? No matter what stage of business you are in, maybe it’s time to hire a coach. 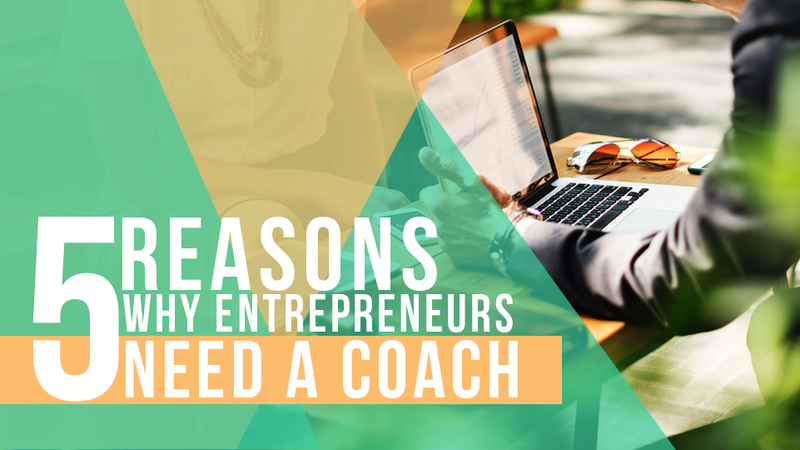 Coaches are great for several reasons but here are the top 5 reasons why having a coach will help your business grow! Accountability. Coaches remind you when something needs to be done. If you tell someone your goal you are more likely to achieve that goal. Having someone to keep you accountable will help you achieve your goals faster. Nobody wants to let down their coach! Direction. Coaches can provide direction and point you where you need to go next. As entrepreneurs, we have a million things swimming around in our heads and it’s challenging to get above the water and see if from a bird’s eye point of view. Coaches provide that bird’s eye view and can be the compass to help you move forward. Expertise. Coaches share their knowledge with you. Make sure you hire someone that has been through the trenches and can provide valuable lessons learned. You shouldn’t have to reinvent the wheel. Learn from their mistakes instead of making your own. Tools. Coaches always have great tools to share. Whether it’s software that will make your life easier, time management tips or sales and marketing strategies…a great coach will fill you in on all the secrets. Networking. You will most likely meet other people through your coach or learn about other entrepreneurs and what they are doing. Having a community of people to support your business and lean on when the going gets tough is extremely important on those rough days. If you are ready to see your business grow, contact James Patrick for a free consultation. James provides one on one coaching and will work with you to find the best way to help you expand your brand. Visit https://www.jamespatrick.com/coaching to schedule your free consult today! James Patrick is the founder of James Patrick Photography, LLC; FITposium and Patrick Creative Media. He has nearly 15 years of photography experience specializing in fitness, sports and beauty portraiture as well as commercial productions. James is also a public speaker who has presented coast-to-coast in the United States on topics including personal branding, marketing and storytelling. Receiving his BA in Journalism from the University of Arizona, he continues to write for a variety of publications and authored the FitModelGuide.com e-book. His photography work and blog can be seen on his website JamesPatrick.com. He is also a consultant with You in Focus Consulting.